The SI-10 sets a new standard in aesthetics and functionality. The architectural design of the SI-10 was achieved through the input of industry professionals, as well as a multitude of end users. It’s copyrighted design has been described as “Simple Elegance”. The SI-10 quietly blends in to its surroundings and is as comfortable on the boardroom wall as it is in a classroom. Rave reviews have also been received by custom homeowners and designers. Architects and designers can now work in harmony with engineers and contractors. The aesthetic integrity of a building no longer has to be compromised to deliver optimum comfort and performance. The simply elegant design of the SI-10 is only enhanced by it’s Superior Accuracy and Performance (SAPTM ). Optimum user functionality has been built in to every SI-10. The intuitive temperature sensor interface utilizes discreetly concealed adjustment buttons. The ease of use is unprecedented. 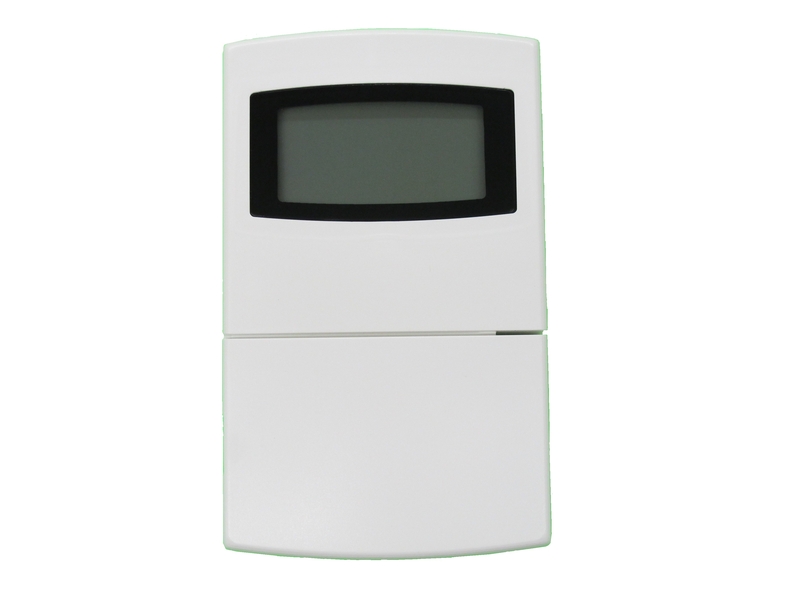 When an adjustment is made through the SI-10, visual feedback is provided through the integral LCD display. The custom designed display incorporates 4 digits as well as 8 alphanumeric characters to aid in the simplicity of use and design. The “up” and “down” push-buttons are used to adjust the temperature set-point offset for optimum occupant comfort. The maximum range of set point offset can be easily modified in the programming mode. The maximum set point offset is factory set at +/- 2, but can be field adjusted up to a maximum of +/- 10 through the programming mode. No special tools or software are required to accomplish this. All programming mode functionality is accomplished in the field using a sequence of button presses. The Si-10 incorporates a precision thermistor for Superior Accuracy and Performance (SAPTM ) of space temperature sensing assuring long term stability and maximum accuracy. In addition to the up and down arrows for set point offset adjustment, the SI-10 has a third button for after hours override requirements. 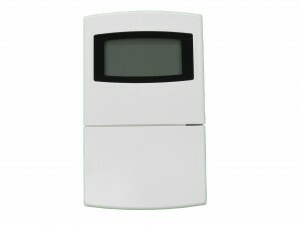 The LCD momentarily displays OVERRIDE to provide visual confirmation to the occupant.